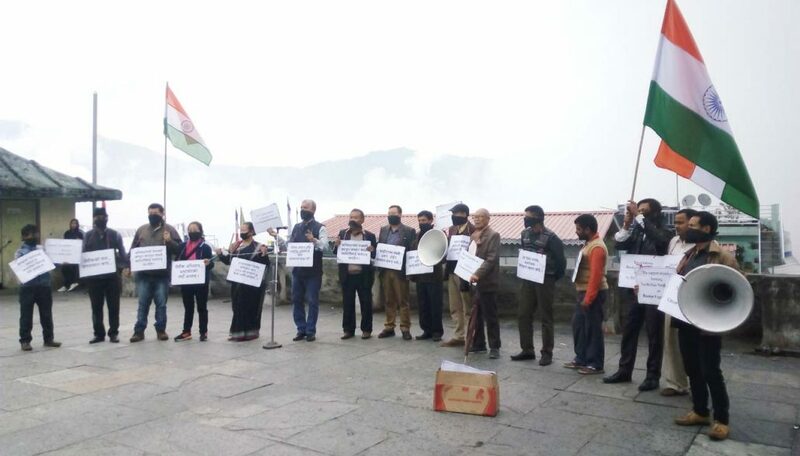 The Sikkim Pradesh Congress Committee (SPCC) staged protest demonstration against the ban on inorganic vegetables from outside the State at Lall Bazaar in Gangtok on Wednesday. An SPCC team led by its President Bharat Basnet with black cloths on their mouths and hands tied with chains took a round of vegetable market at Kanchenjunga Shopping Complex in Lall Bazaar on Wednesday. Basnet came down heavily on the State government for issuing a notification mentioning which vegetables the people should not consume on their choice. The SPCC President also alleged that it was injustice and suppression of freedom and fundamental rights of the people in the State. While criticising the government for burying inorganic vegetables at Majhitar, he alleged that “vegetables were not buried but the humanity was buried on that day”. He asserted that if the government really wanted to implement organic vegetable policy forcibly then it should provided subsidy to make organic vegetables affordable to all people. He also asserted that just to claim organic was not enough but the technology has been required to prove its authenticity. “We have already crossed 18 days of the ban but there is no any substantial technological evidence or test to prove that the products are organic,” he said. He alleged that it was just propaganda to fulfil vested interests and just limited to publicity. Basnet stressed that if the government was sincere in the mission then it should have authentic certification agency to certify that soil and produces of the State were organic and then keep organic and inorganic produces separately to give the people to choose vegetables of their choice. 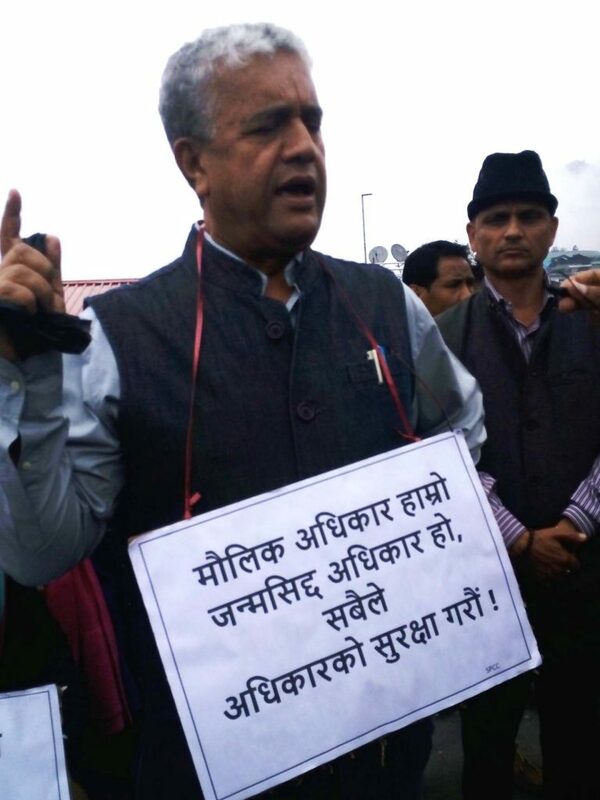 He also asserted, “The government should withdraw its notification.” Basnet also urged the people to understand their fundamental rights for protection and better future of the future generations of the State. He also announced to demonstrate on Thursday.